The war of words between Tehran and the six-members of the Gulf Cooperation Council over three disputed islands continues to escalate. Iran's ground forces commander warned the military is ready for action should diplomacy fail, state TV reported on Thursday. General Ahmad Reza Pourdastan said Iranian forces are "capable of confronting any offender: against Iran's sovereignty over the strategic Abu Musa island in the Persian Gulf. 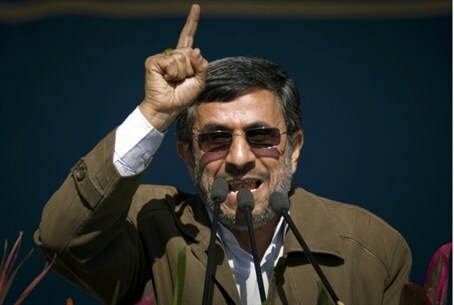 It was the first time an Iranian military commander commented on the issue since President Mahmoud Ahmadinejad last week made a controversial visit to Abu Musa. "We do not allow any country to carry out an invasion," Pourdastan said. "If these disturbances are not solved through diplomacy, the military forces are ready to show the power of Iran to the offender. Iran will strongly defend its right." Abu Musa is situated on the approach to the strategically vital Strait of Hormuz through which much of the world's exportable oil flows. Iran's Revolutionary Guards and US Navy warships are both currently patrolling the narrow waterway, which Iran has threatened to close should Western pressure continue to mount. The Bahrain-based US Fifth Fleet has said any attempt to close the Strait of Hormuz would be regarded as an "act of war." Iran took control of tiny Abu Musa and two nearby islands – the Greater and Lesser Tunb – in 1971, after British forces left the region. Tehran maintains that an agreement signed eight years before its 1979 Islamic revolution between the shah and the ruler of one of the UAE's seven emirates, Sharjah, gives it the right to administer Abu Musa and station troops there. However, the UAE insists they belonged to the emirate of Ras al-Khaimah until Iran captured them by force days before the city-states united and declared independence from Britain, also in 1971. The dispute between Abu Dhabi and Tehran over the islands has been in the International Court of Justice for three decades without resolution. The UAE called Ahmadinejad's visit a "setback" to efforts at finding at peaceful solution to the dispute and on Tuesday its fellow Gulf Arab states denounced the visit as a "flagrant provocation." Prior to Pourdastan's statement on Thursday, Iranian officials had hinted Iran was ready to use force saying things would become "very complicated" if Gulf Arab states challenged Tehran's claim to Abu Musa. The GCC – Bahrain, Kuwait, Oman, Qatar, Saudi Arabia, and the UAE – responded to Iran warning that any perceived aggression against the UAE is considered an affront to the entire bloc, "which stands united." The island dispute is only the latest fulcrum of tension in the Persian Gulf between Tehran and its GCC rivals since the Arab Spring erupted early in 2011. The Sunni Arab monarchies of the GCC accuse Shiite Persian Iran of meddling in their domestic affairs and provoking their Shiite populations to revolt as a means of destabilizing their regimes. They have responded by calling to transform the GCC into a joint diplomatic and military confederation, to expand its ranks, and ramp up military cooperation with the US and NATO.